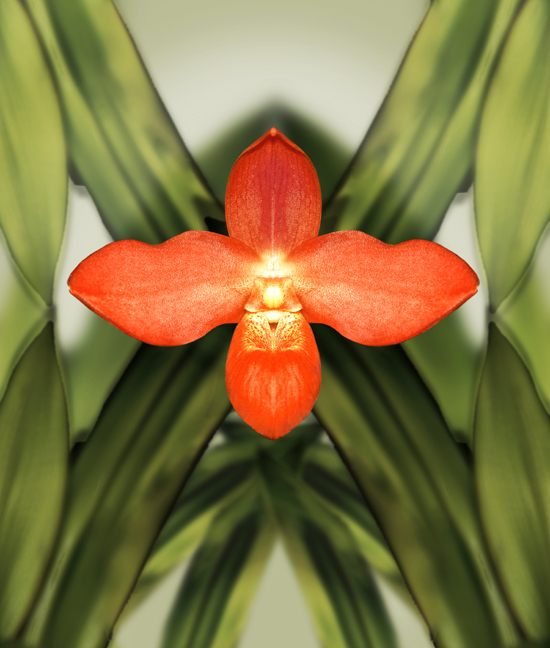 I recently had the pleasure of conducting a brief Q&A session with L.A. based photographer and artist Wayne Shimabukuro, who’s current body of work, Floral Inventions, depicts the unique beauty of orchids. Mr. Shimabukuro’s images offer a refreshing new way of looking at something beautiful and turning it into something magical and meditative. DOT: How did you get into photography? WS: “I was an undergraduate student in the fine art department at UCLA when I bought a Nikon F2 camera from a friend and fellow-classmate. He had a clear-cut approach to photography, based on “street photography” practices: black & white film, compose the image in its entirety through the lens-finder, etc. This was my starting point, however my broader interests, which ran the gamut from advertising, fashion, landscape, botanical, formal portraiture, the figure, painting to graphic arts; would intervene”. 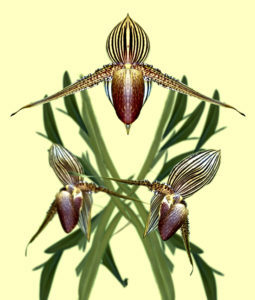 DOT: How or why did you start photographing orchids? WS: “Rich childhood memories from time spent at my grandparents’ azalea nursery combined with my fascination with botanical imagery (19th & 20th c. illustrations, Blossfeldt prints), florals have always held a potent interest for me. 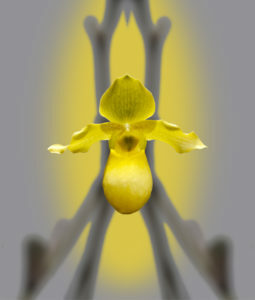 Orchids are my current focus”. 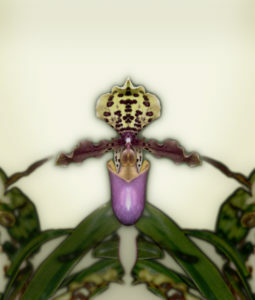 DOT: Your recent body of work, “Floral Inventions”, has a very scientific (like subjects under a microscope) feel to it. Was there a scientific history in your formal education that lead you to this project? WS: “I collected ornamental game birds as a youth and studied illustrated books about them. This must have had an influence on the current Floral Invention portfolio. My interests and education lay in the fine arts field, but careful observation is where science and art intersect”. DOT: Your images have a calming, almost meditative aspect to them. Was that your immediate intention or did that develop during the creation of your project? create a visual “floating world” to express a feeling of wholeness”. 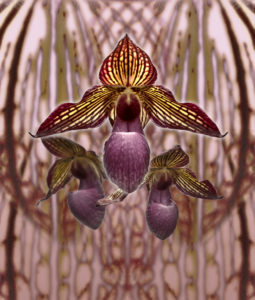 DOT: In your artist statement, you mention “the hand of man” in regards to the hybridization and distribution of orchids across continents for experiencing pleasure of their beauty. Your images from “Floral Inventions” seem very much along the same lines as this idea. How much did this idea play into your artistic process for this project? WS: “The question of nature verses nurture fascinates me. I see them as allies. As culture is a singularly human concern, both of which, plant breeding and art are, this makes a good marriage for an artistic exploration”. DOT: When creating an image, do you have an idea of the final print or does your idea for the final print happen when manipulation begins in photoshop? WS: “In an attempt to define my process, I’d say that it is organic. 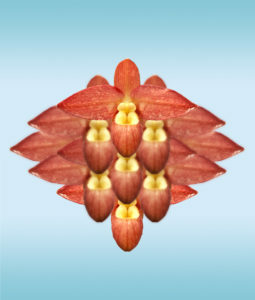 It begins with an image, the flower I photograph, it then evolves as the steps move forward first isolating the central image, then perhaps using secondary elements such as foliage. These elements are incorporated or not as the process develops, similar to that of collage making. This continues until I find something that “works”. I’ve found that the idea of a final outcome beforehand is often counter-productive”. Wayne Shimabukuro’s Floral Inventions debuted at POST Gallery, Los Angeles, in July 2014. Earlier this year, the Huntington Library acquired a portfolio of fourteen images from the Floral Inventions series for their collection. I would like to thank Mr. Shimabukuro for his time and insightful answers for this interview. 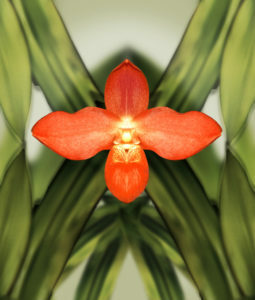 To see more of Wayne Shimabukuro’s work, please visit his website: wayneshimabukuro.com.